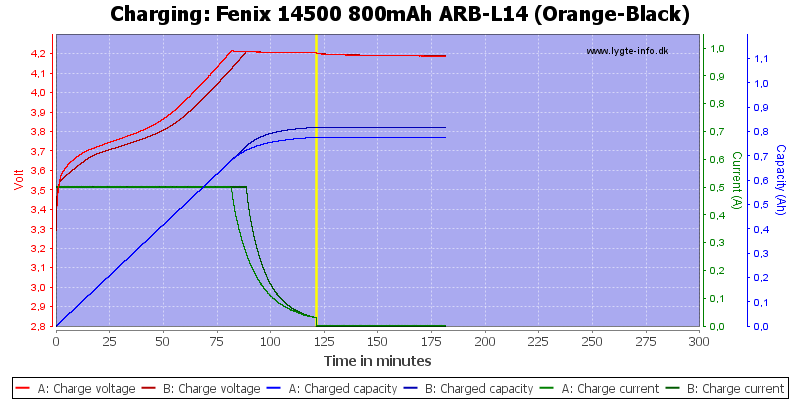 Charge current: 400mA (Max. 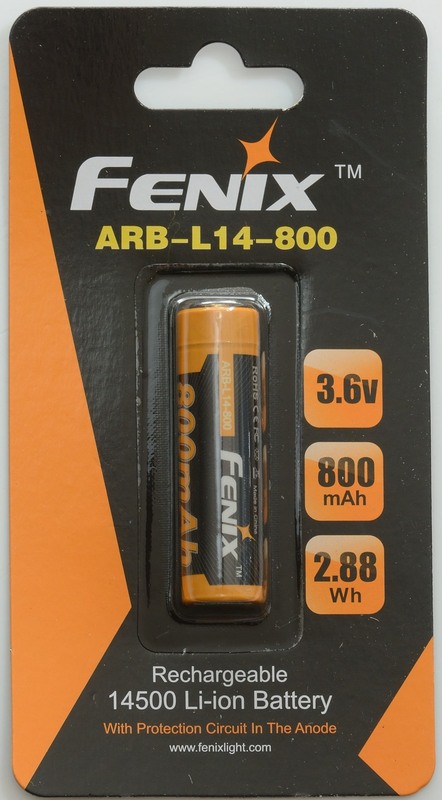 800mA). 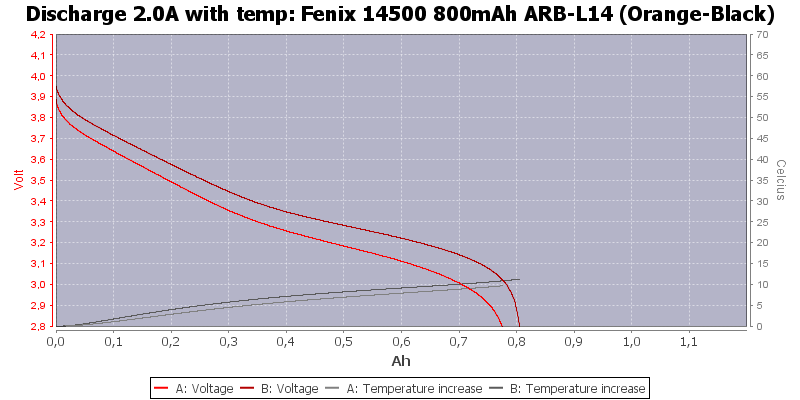 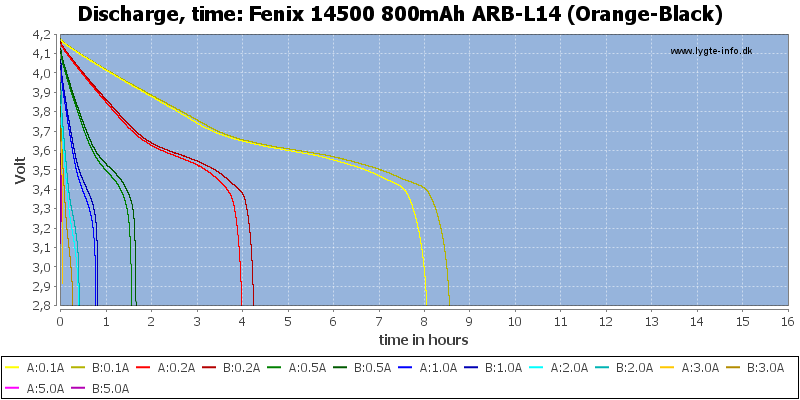 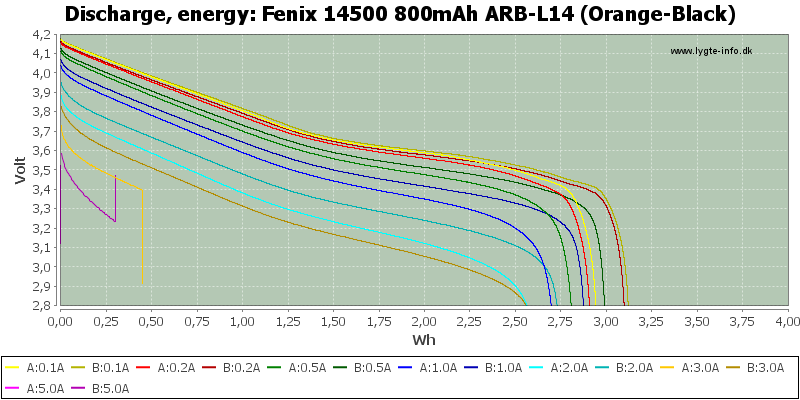 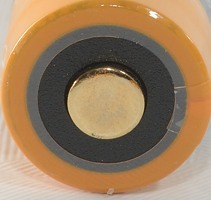 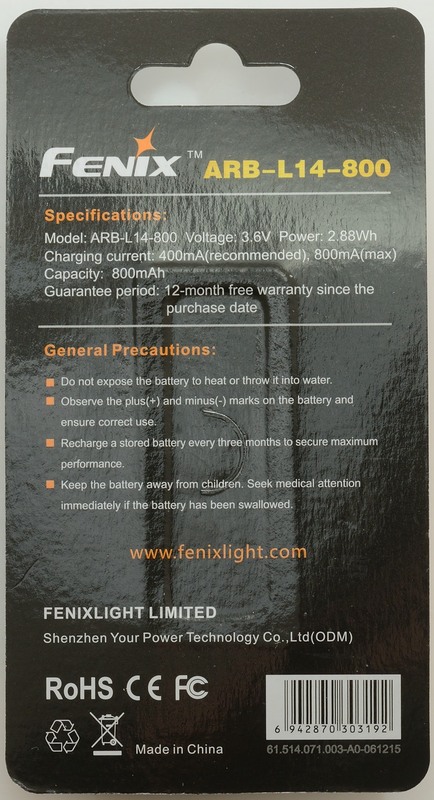 A AA sized LiIon battery from Fenix with protection at the plus pole. 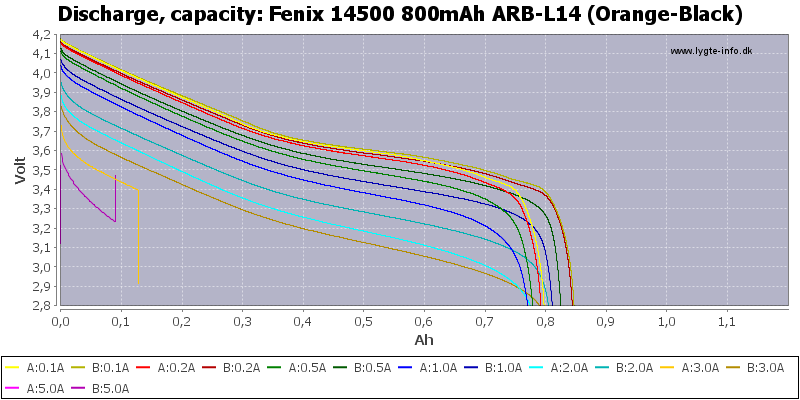 There is a significant capacity difference between the cells, this is not very good. 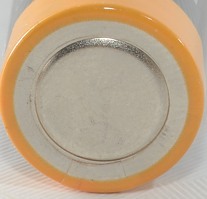 The cells can deliver about 2A. 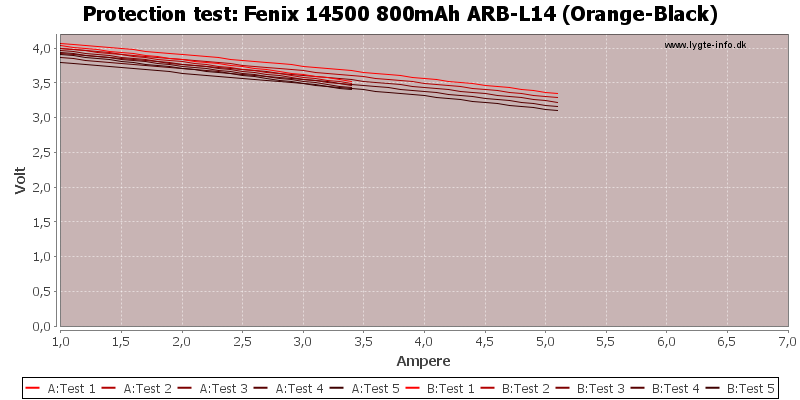 this is fine for a 1.6A rated cell. 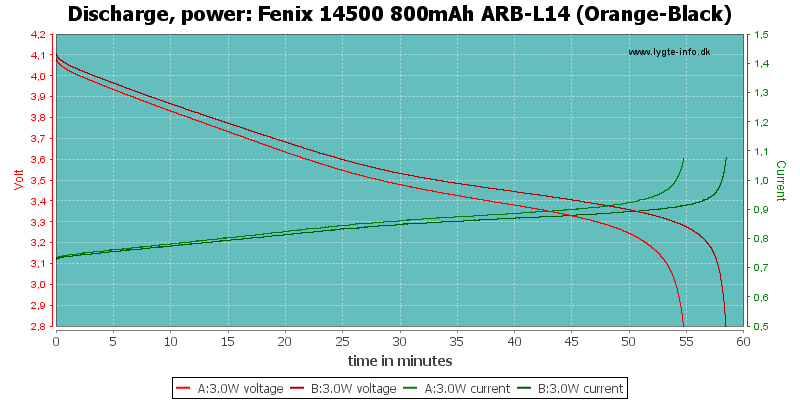 This is a huge difference in over current protection, one trips around 3.5A the other at 5A. 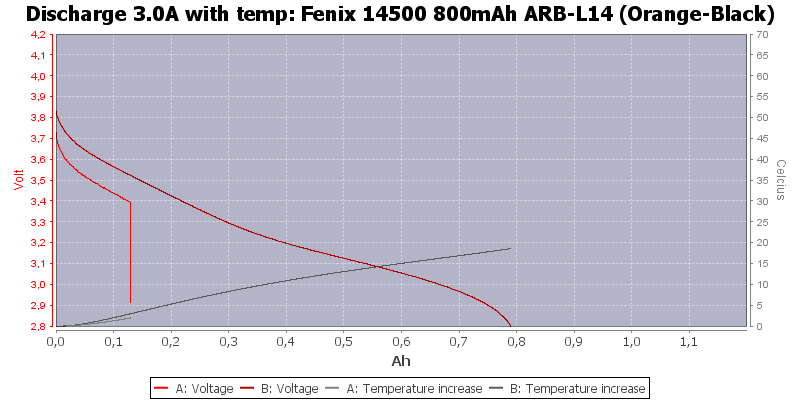 Both the cells has very good capacity and can deliver the rated current, but I do not like the difference between them.